I find series that look back through time at food history totally fascinating. Over the years I have watched a few of them, including the funny British show Supersizers Go where the hosts go back to a particular time and eat as people would have done, and then look at what the effect on their bodies has been. Another one I enjoyed was a series set in Italy looking at the role of food in Italian history, including where pasta comes from and the humble origins of pizza. So fascinating. Recently we have been watching an Australian series called Back in Time for Dinner. 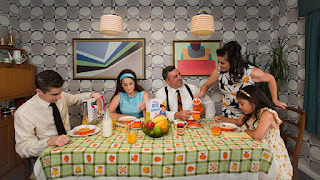 The premise is that a family has the living areas of their home restyled to show what life was like in each decade starting in the 1950's, moving through to the 2000's and beyond into the future. In each episode the family learned what food was like, what their individual roles would have been in the family structure, with particular emphasis on the slowly changing roles of women across the last 70 or so years, important historical events and the rapidly changing role of technology. The kids were very excited when the 80s came and they got a home computer. The episodes from the 1980's on were probably the most interesting for us, because that is the era that we grew up in, and there were many times through these episodes where there was something that we remembered or that prompted conversations about how we lived and worked and ate. There were some truly awful food things presented. The modern kids were not at all impressed with their first meal in the 1950s which was tripe in white sauce, but some of the other lowlights included a liver sausage sculpted into the shape of a pineapple, complete with a yellow coloured mayonnaise to complete the illusion, as well as food from the future which has been transformed into small gummy shapes. It may kind of taste like meat and 3 veg but it just doesn't sound very tasty or appetising. It was very interesting to look at the way that food has changed over the years. In the 1950's the food was all fresh, but as they progressed through the decades we saw how food changed with the advent of frozen meals and microwave convenience meals but now, it seems as though we are coming full circle with the focus moving back towards fresh, and preferably local, ingredients. The other thing that was interesting was how waves of immigrants slowly changed the food landscape here, from the first spaghetti bolognaise recipe in the Australian Women's Weekly, to the coming of Chinese food, to Thai and beyond. It was a fun series to watch. I haven't read as much food history, but when I do I find it just as interesting. 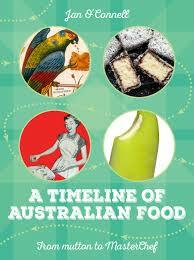 Over the last few weeks I have been browsing through A Timeline of Australian Food; From Mutton to Masterchef. It is actually a similar premise to the TV series. Each chapter is a new decade starting from the 1860's through to 2009. This book doesn't have a narrative as such, but rather has paragraph sized snippets about the food that we were eating, the technology at the time, historical events, the origins of many of the brand names and advertising slogans (like Yoplait is French for Yoghurt) that are Australian icons and so much more. I found it very interesting because there were plenty of snippets which I could feel a connection with. Having spent a lot of time growing up in Adelaide and in the Salvation Army, I found the fact that the first 'fair trade' tea was sold by the Salvation Army in 1888, the same year that the site the company that became Western Star began producing butter. The Adelaide Central Market opened in 1869, which is a good 9 years before the Queen Victoria Markets opened here in Melbourne. There were some quintessentially Australian facts. For example, there is a story about how Queen Victoria's son Prince Albert was visiting the country, so there was a big catered picnic organised, but the Prince was running late and so the crowd became rambunctious and ended up raiding all the catering. There were also strikes to protest against the early closing of pubs or when they tried unsuccessfully to change the name of Vegemite to Parwill. About 10 years ago, the makers of Vegemite tried to change things up a bit and launched a version of Vegemite that was called iSnack 2.0 which unsurprisingly was not particularly successful, but I had no idea that it wasn't the first time that there had been a spectacular marketing disaster involving Vegemite. Doesn't really matter what it is called, I am not going to be eating it! Bleugh! A couple of other interesting facts...whilst peanut butter originally came from the U.S, the first commercially produced versions were actually produced here in Australia in 1898. There is a brand of tomato paste here made by a company called Leggos. I would have sworn black and blue that this was a company with Italian origins but it actually was founded by a Welsh man named Leggo. In the 1970s the company even hired Gina Lollobrigida to promote the brand. One interesting story was about one of the most iconically Australian songs - Waltzing Matilda. I had no idea that the words were changed in 1903 to be used as a theme song for a Tea company, and this is the version that we know now. Apparently the swagman wasn't originally jolly or didn't need to wait until his billy boiled!! This was the perfect book to browse through at night, a decade at a time, and there were lots of fascinating new to me facts! I am also linking this review to Australian Women Writers Challenge. 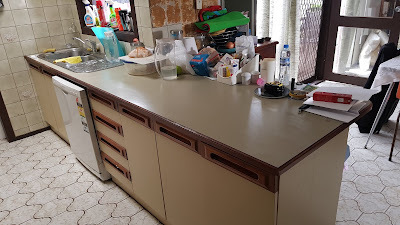 When I first moved into this house nearly 13 years ago, I knew that at some stage I would have to do some updating because it is a very 1970's house. 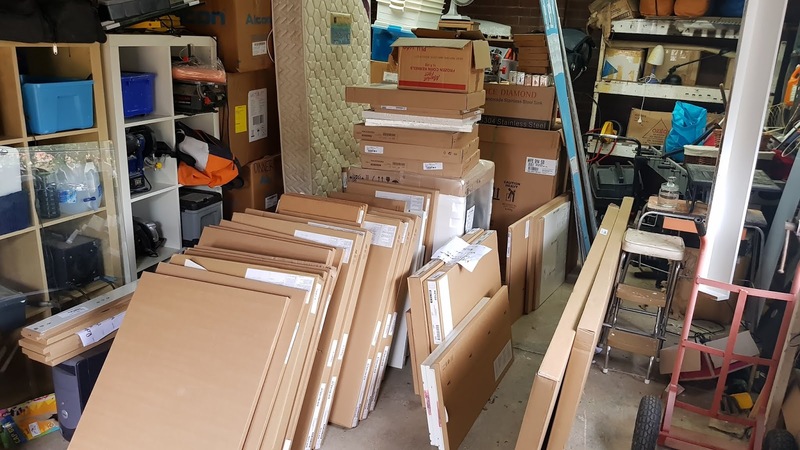 You can tell this by the mission brown skirting boards and door frames, the green kitchen, the bright green bathroom benchtop. I've even got a chocolate brown toilet in the ensuite. In fact, the only thing missing from the classic 1970s colour palette was really the bright orange, but luckily I bought that with me in the shape of orange vinyl dining chairs. When I started seeing the sous chef, we talked a bit about plans, but it was more pipe dream kind of plans. Earlier this year though it became a serious conversation. We had a kitchen planner come in and give us some idea (and then he quoted a fortune to do the installation so we didn't go ahead). 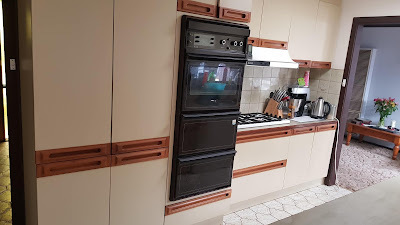 Gradually though, we took all of our ideas, SC did some research because he loves that kind of thing and so we arrived at the point where the cupboards, oven, etc had been purchased and it was time to actually get this done. The SC is actually very handy. He loves any excuse to buy new tools and to use them, to research things, to think about how to fix a problem. He's been very good for me as well as very good for my house. I think in a way this reno process has also been good for my son. He's had to spend some time not locked up in his bedroom playing Xbox and doing some handyman things that he would otherwise not have had exposure to. It's funny. I never really thought my kitchen bothered me, but the closer we got to getting a new kitchen the more I realised that there were things that were kind of annoying. 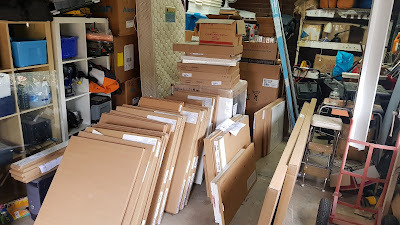 Lets hope I don't find that gradually with the new kitchen as well. I did decide to make one last cake on Friday night, but I think the oven must have caught wind of the fact that it's days were numbered as it took me 5 attempts to get it started. But I did get it going in due course, and then 3 hours later it was disconnected and then the next day out on the back lawn! One of the things that we didn't expect was finding out that we have to get all our gas pipes replaced. It's not really part of the reno but the timing means that it happens to fit nicely in to get the gas plumber in to connect the oven, redo all the pipes to the cooktop, the hot water system and the underfloor heating. I must say a kitchen reno feels like a very grown up thing to do. I mean, what next? Buying a set of matching glasses instead of just using the old jam jar glasses and freebies from Macdonalds? We are not quite done yet. 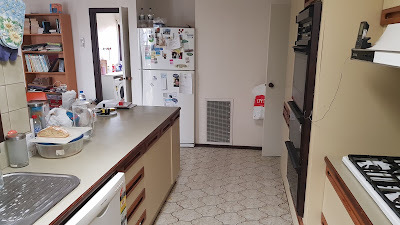 After we have recovered from the unexpected expense of replacing the pipes we will put new flooring throughout the house but for now, the kitchen is done and I am super happy with it. There are some cool little things like lighting in the cutlery drawers, and the under cupboard lighting, I love the drawers instead of cupboards, and I LOVE the benchtops. You can't see it in the photos but there are little specks of silver embedded in the stone so that it catches the light as you move around the room. So cool, and I don't think it will ever get old. One of the interesting things we did was used adhesive peel and stick tiles instead of tiling and grouting. We think they look great, but the test will be in how they stand up to regular kitchen use. They cost a fraction of getting tiling done, so if they last a few years it will be worth it, and then later we can do a glass splashback or proper tiling or whatever we decide. The sous chef and I are big fans of Masterchef Australia. We have watched this season and I don't think we have missed a single episode. When I say big fans I may be overreaching a little, because by the end of the 3 months we are/he is ready for it to be over. The sous chef gets annoyed at one of the hosts and I often hear mutterings of "shut up George" and the like. But come next year, we will be there watching again from the beginning. One of the things that I like about watching is the masterclasses that they have. Often they are big name chefs who come in and show a recipe or two, other times it will just be the hosts. Sometimes the masterclasses are way out of reach of ordinary cooks. 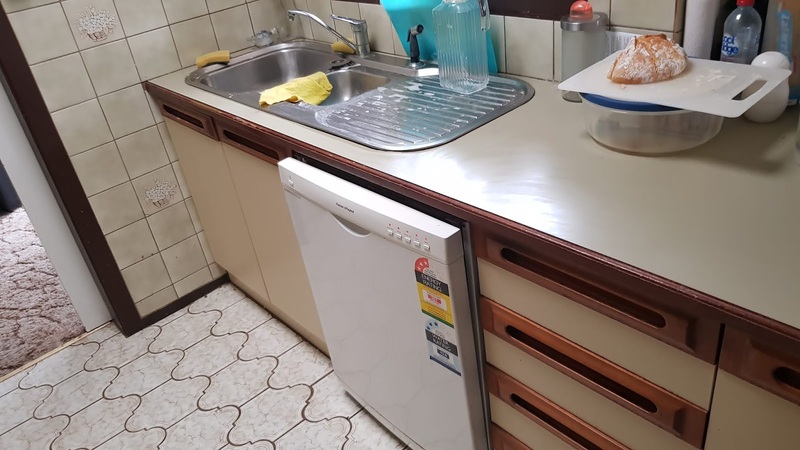 For example, this year there was a guest chef and in order to make his recipe you would have needed a sous vide machine, a dehyrdator and numerous other types of fancy equipment. 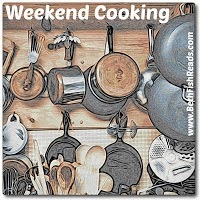 There are, however, numerous times when you can take the recipes and use them without too much difficulty. For example, earlier this season, Matt Preston demonstrated a recipe for roasting a whole head of cauliflower, adding in lots of Middle Eastern ingredients. Whilst we haven't done the whole recipe yet what we have done a couple of times is just roasted the whole head of cauliflower when we were having a roast, and it is sooo delicious. Similarly, Curtis Stone came on a couple of weeks ago and demonstrated how he cooks prime cuts of steak. Last time we had steak we used his methodology and it was definitely really good. This recipe comes from a masterclass that Nigella Lawson did very early in the season. I am normally not that big a fan of carrot cake. 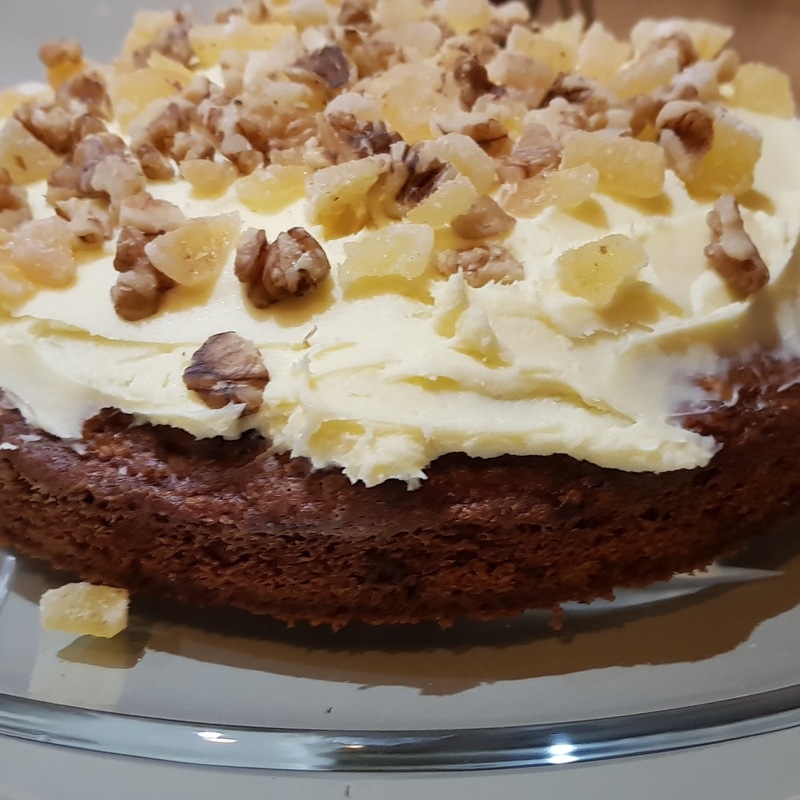 If I had to choose between carrot and banana cake I would generally choose banana, but this cake looked so easy and so tasty that I thought I would give it a go. It was definitely worth it, and the sous chef has requested that it be made again which I did yesterday. We took it to an afternoon tea and there were thumbs up all round. And then the sous chef requested that I make it again at some point. Sounds like this has gone into our regular recipes now. 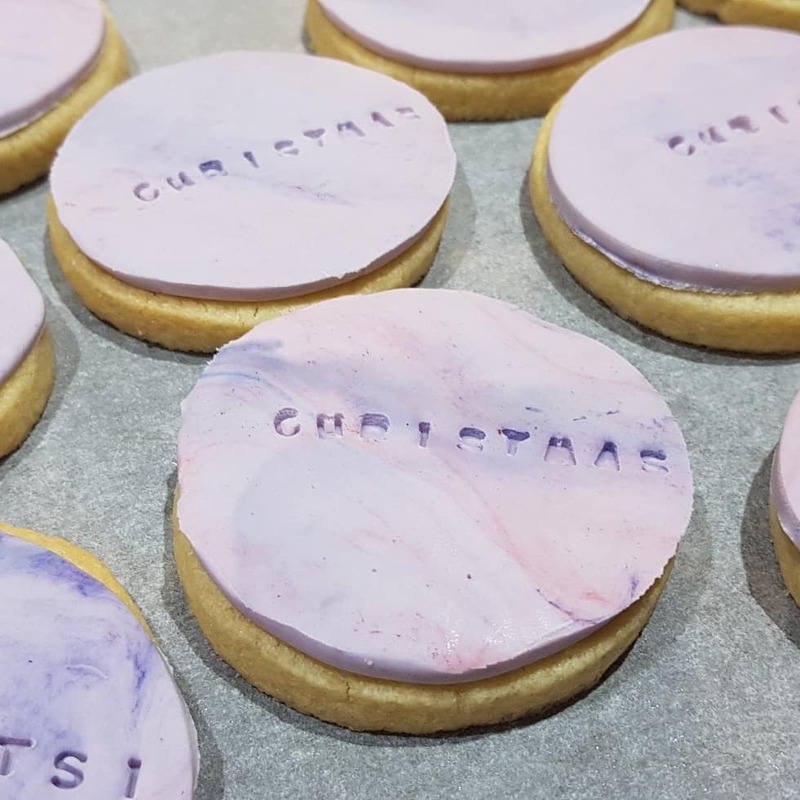 During her time on Masterchef she also did a chocolate feast that included an olive oil chocolate mousse, white chocolate cookie pots, chocolate brownies and a ruby chocolate cheesecake. Ruby chocolate is the new type of chocolate that has been developed which apparently has a fruity flavour that occurs as part of the growing process rather than being an introduced flavour. I have plans to try the chocolate mousse recipe, and I definitely am looking forward to trying ruby chocolate when it finally becomes available. You can watch the video of Nigella appearing on Masterchef and making this cake. Not sure if the link will work or if it is geo-blocked. Preheat the oven to 170C/150C Fan/Gas 3½ and grease the sides and line the base of a 20cm/8in springform cake tin with baking paper. Spoon into the prepared tin. Don’t worry if it looks as if you haven’t got enough batter, as the cake will rise well as it bakes. Smooth the top and bake for 45–55 minutes. When it’s ready, the cake will be set and golden-brown on top, beginning to shrink away from the edges of the tin and a cake tester will come out with just a few crumbs stuck to it. Transfer to a wire rack and leave to cool in its tin.